22 karat gold plated hammertone beadcap. 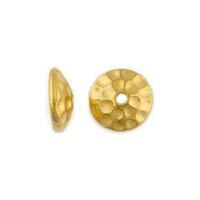 Works perfectly with most of our Venetian beads, adding a little texture to your designs. Try it with some of the gold plated hammertone links.